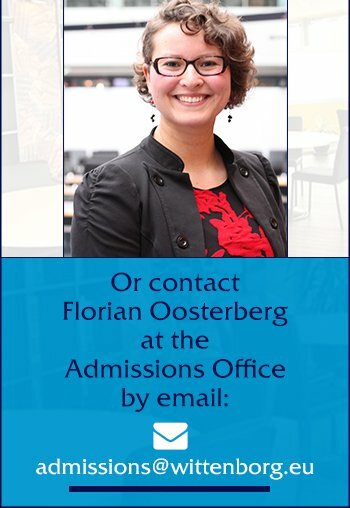 Wittenborg University of Applied Sciences offers European accredited Bachelor and Master programmes. Wittenborg offers double degrees and Master of Science programmes with the University of Brighton. Bachelor's students can obtain a degree in three years that includes a degree-related work internship and a research project. The core of Bachelor of International Administration programmes (IBA) offer a broad first year in business commerce with students choosing from 10 specialisations in their 2nd year. The Master of Business Administration (MBA) is primary aimed at students with a non-business administration bachelor's degree, who have had at least 2 years of experience working in companies and organisations in a role that manages people or processes, or both. Wittenborg University's master's programmes provide international companies with graduates who have both international business and management skills, foreign languages and cross-cultural competencies. Wittenborg’s programmes provide a truly international and multicultural learning environment to make its graduates very attractive to potential employers worldwide.